A city break in London is a thing of wonder. It’s a city like no other, where opportunity lounges at your feet like a sleepy housecat and curiosity calls from each corner loud as a crow. From the Thames by night to the streets awash with red buses and black cabs, London is an ecosystem where every morning begins with the question ‘What shall we do today?’ and every evening ends with the sleepy affirmation that yes, it was indeed quite an adventure. People come to the big smoke for many reasons, for the theatre, the museums, the festivals and food markets, as far as culture goes, you are spoilt for choice and a weekend away in London will provide you with more things to do than you could ever hope to get through in just a few days. 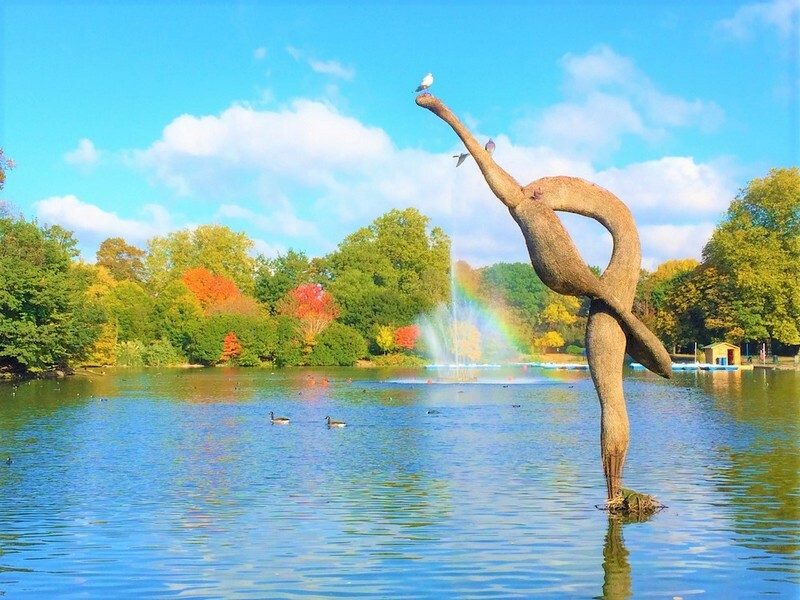 With all these bright and shiny things to distract you, it might not have occurred to you that another great thing to do on a weekend in London is to visit some of the best parks in the country. Oh yes, London does green very well and each park you stumble upon has its own distinct character and surprise. But like everything in the capital, the choice can be overwhelming, so to help we’ve picked four firm favourites you have to visit. Without a doubt, this is one of the loveliest parks London has to its name and is the largest of all the Royal Parks too. It’s one of those few places in London where you can easily believe you’ve left the hustle and bustle behind and it’s great when you’re aching for the countryside and a little quiet time. Beautifully lush and the site of both White Lodge and Pembroke Lodge (home to Bertrand Russell in his younger years) this gorgeous park has all the beauty and serenity you could hope for. The crowning glory though is easily the free-roaming deer that mill about, regal and breath-taking and a million miles away from what you expect in London. They’re amazingly tolerant creatures and all too used to being gawped at, so do enjoy them, but please also always respect them, they don’t like being crowded any more than people do and it’s also highly recommended you keep your four-pawed pals on a lead too. What’s playtime to Fido looks very much like the makings of a hunt to the deer. Go and explore, you won’t be disappointed. Victoria Park is wonderful, less the wild wilderness of Richmond and more the park of the people, with countless festivals moving in on it during the summer as well as having children’s’ play areas, tennis courts, and a running track. It’s a mammoth space, over 86.18 hectares with two fantastic lakes and endless areas to throw a picnic blanket down on and stretch out. There’s also often a spectacular fireworks event in the autumn which means you get to see this beauty by night and you’ll also discover there’s a smattering of food markets and the like just on the outskirts for when you get peckish. If you’re after a party-park or just one with a little more bounce, this one may be just the ticket. Putting aside the technicalities of whether a heath classes as a park, Hampstead Heath has more than earnt its spot on this list. A sprawling mass of roughly 791 acres, it’s a natural delight of woodland, meadow and ponds. 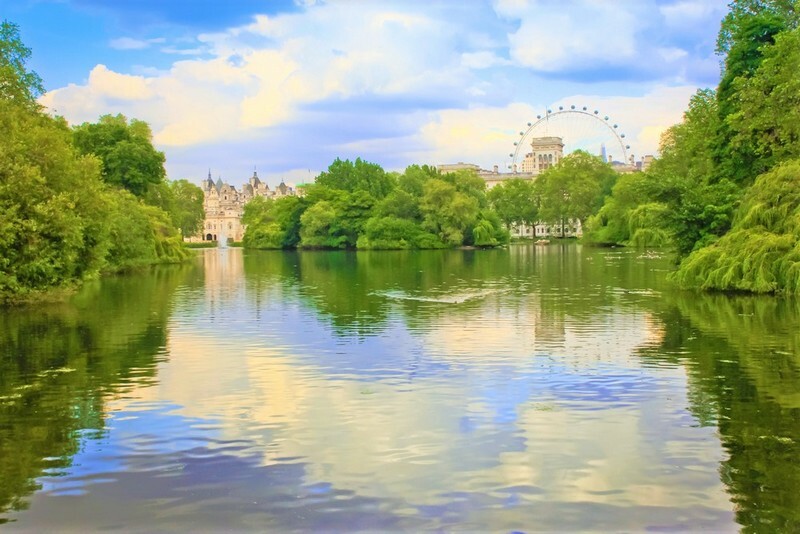 It’s one of the best places to get some great panoramic views of London and is always teeming with life, from people suited and booted in hiking gear to groups lounging on beach towels with books and prosecco. 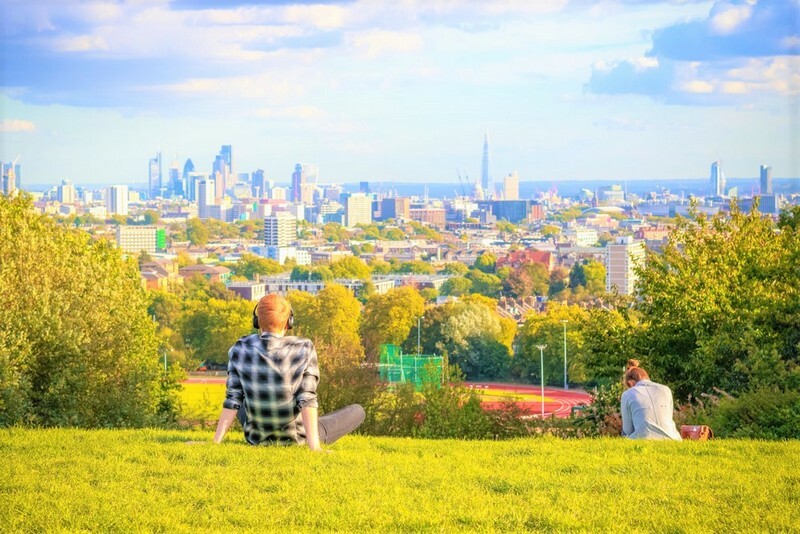 Unlike some of the other parks, Hampstead Heath is a great example of nature left to itself, with none of the neat and colourful flower beds or expertly trimmed hedges and that’s just another reason to love it. This one is perhaps the anti-Heath and yet it’s just as delightful. 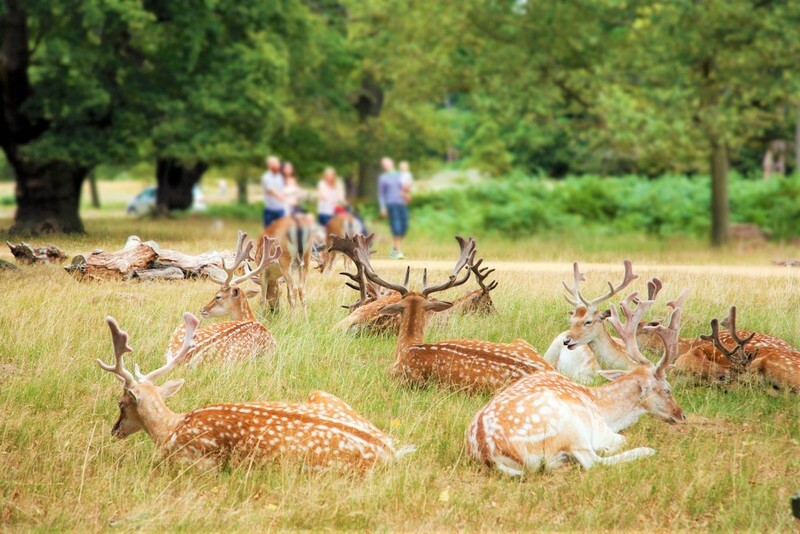 Where Hampstead Heath, and to some extent, Richmond Park have an element of untamed charm to them, Regent’s Park is a beautifully curated green space boasting a range of flora, fountains, food stops and of course the Open-Air Theatre. As the name suggests, it began life as a Royals only affair and was the playground of Henry VIII for hunting, but in 1845 it finally became a public space and has been ever since. 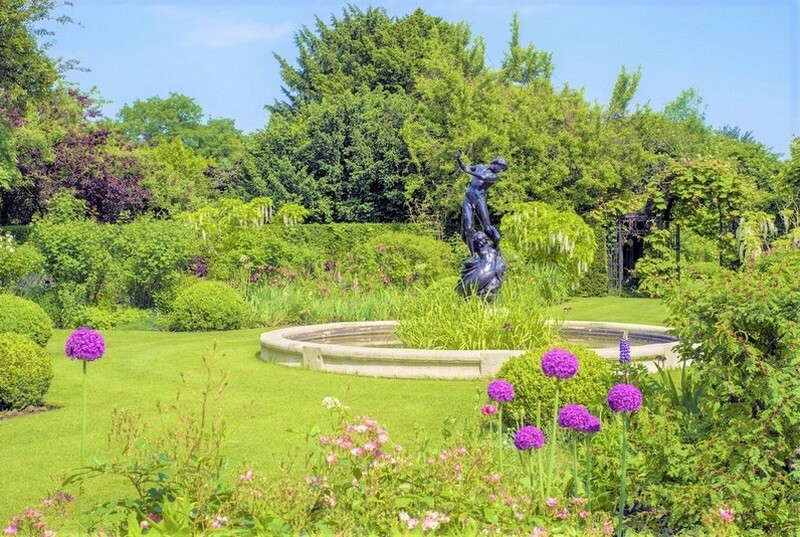 With stunning rose gardens (boasting over 300 varieties), children’s areas and plenty of opportunities for ice-cream and coffee, it’s great for a summer-day stroll. These are but four, in truth London is awash with great green spaces and seeing one certainly isn’t seeing them all. So we urge you to go and explore and appreciate the green side of London, it’s right around the corner. Need a place to stay? Check out our apartments in London.